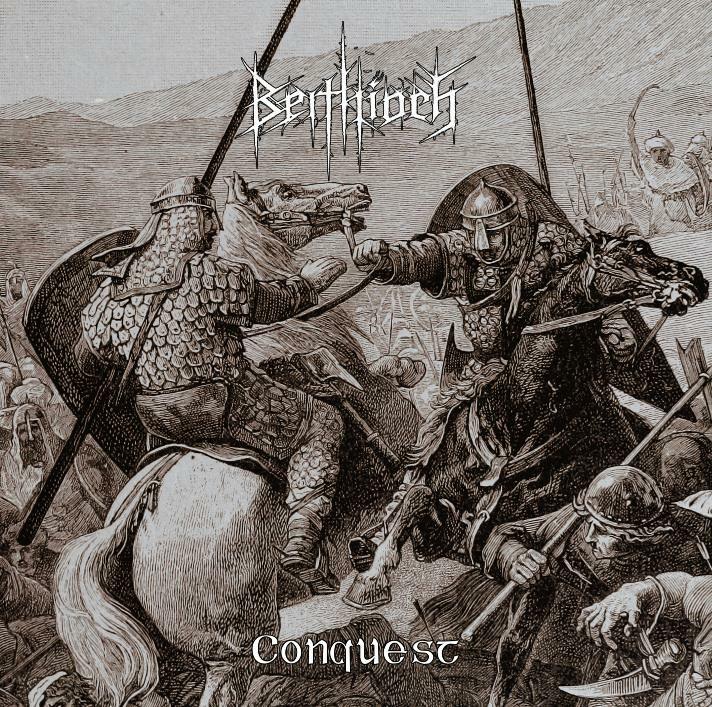 Having not previously heard of BEITHÍOCH, I was more than pleased with what I heard coming through my speakers when I was listening to their new album “Conquest” which, for the last few weeks, has been my go-to album on my MP3 player. It has really stood out to me amongst the latest swathe of Black/Death metal releases. And amongst other Irish contemporaries, I would draw a comparison to the mighty MALTHUSIAN. It has that sort of vibe from the unspeakable depths. Albeit with the many good aspects on “Conquest”, the only negative I have with it is I think that the drums are too low in the mix. And the vocals are a little low too, but I think that actually heightens the murky and grim vibe that the music ultimately evokes. The album features three ambient tracks that start, break up and finish “Conquest”, although I think it would have been better off without the albums mid-section track ‘The Mocking Winds That Scourge The Land’ and just kept the momentum from the previous track ‘Conquerors’ going straight into ‘The Silence Of The Grave’. The latter of which is one of the main highlights on the album. It’s a real slow burner that builds up, and contrasts the approach taken in the chaotic ‘Skirmish’ which sounds exactly as it is named. On the whole, “Conquest” is a great album that works really well, minus the minor issues with the lack of clarity over the drums. At times it reminds me of BURZUM, early EMPEROR with a nod to NDINGR and that post-black metal vibe. A highly recommend release for any fans of the aforementioned bands.